This weeks blog is brought to you by our latest super talented guest blogger. Welcome and we hope you enjoy his article, we love it! 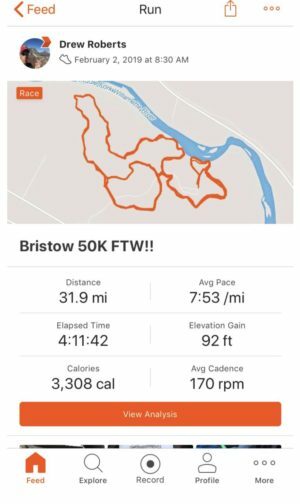 While certainly not new to fitness tracker apps, Strava is still considered obscure among anyone who doesn’t run or bike. In fact, even if you participate in either of these two activities, there’s certainly no guarantee you’ve ever heard of Strava. So what is Strava? In a nutshell, Strava was created as a way to track your workouts and then share them with like-minded friends. It’s a type of social media, to be fair, but it’s also nothing like Facebook or Twitter. Its centric nature allows for a very specific experience, giving users the ability to interact with their own team, of sorts. when you set the app up. 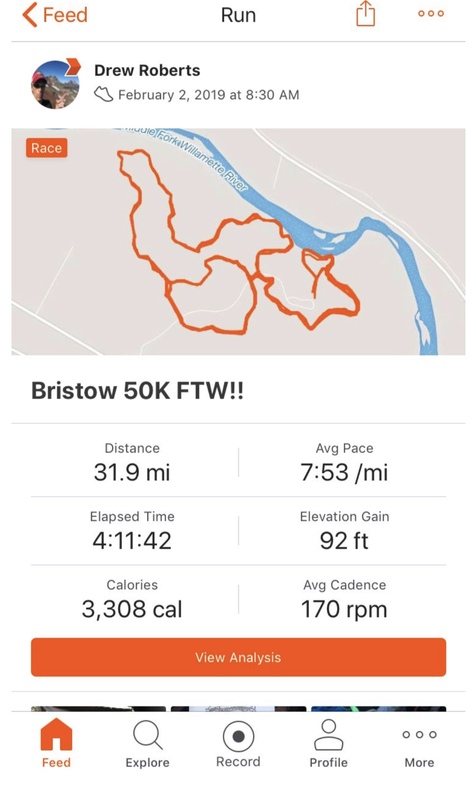 And in case you haven’t fully geeked out on all the cool numbers, Strava provides a couple of really neat features as well. The first is known as GAP, which stands for Grade Adjusted Pace. When you ride or run up a hill, you have to work a little harder. Duh. But based on your effort, which is your pace when factored for the incline, you have a GAP. This might not seem like much until you realise how much more you burn while huffing up that hill. The motivation becomes one of seeing how you can get up hills quicker! Speaking of getting up the hill quicker, this is another neat attribute of Strava, known as segments. Everywhere around us are roads and trails, and everywhere a runner or cyclist goes, they are guaranteed to intersect a segment on nearly every workout. A segment is a short or long section of trail or road that has been titled in some way, and then users battle to complete the segment in as little time as possible. What’s neat about segments is the bragging rights among your friends. As each of you complete a workout, you can see how you did over certain segments, and then challenge your friends to do better. Remember, it’s all about motivation! Another worthwhile feature of Strava is the ability to track mileage on your shoes or bike tires. By going to Strava’s website and signing in with your account information, you gain the ability to add shoes or tires. Then, when you upload your workout, you have the choice of which shoe or tire you used that day. levels in their fitness. Strava works well for both competitive and non-competitive types, recognising that motivation is still the key. If you see that your friend just got out for a 25 mile bike ride and you’re feeling like you need to get after it to stay in shape, that post might just be the jolt you needed! So why use Strava? 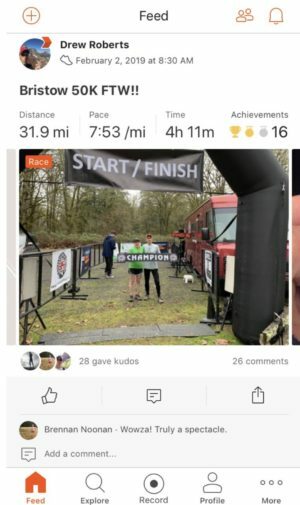 Firstly, there is no cost for the basic app, which allows users to post their workouts, add pictures, track their gear and connect with friends. If you are looking for a few advanced features, there is Strava Summit, which can be useful for reaching certain goals. Training plans, videos, live performance data and more are part of the Summit package, which costs $59.99 per year. One of the biggest features of Summit is something called Beacon, which tracks you through GPS while you are out on your 24 mile run. This kind of peace of mind can be nice, even for those who are waiting to meet you at a designated spot. Additionally, the Summit package gives you money off clothing, gear, nutrition and services. Secondly, connecting with your friends through social media is often a very passive endeavour. With Strava, there’s nothing passive about it. Strava is all about the workout and the experience you had through it. We always hear there’s strength in numbers, and Strava gives its users a platform for staying in touch with both friends and strangers alike, who share similar goals and passions. Lastly, the ability to keep all your workouts in one location, with touch of a button access, allows the user to set weekly, monthly and yearly goals, and then track them along the way. Essential Winter Running GearDoes Compression Clothing Work?